Texas Hold’em poker is a variation of the standard card game of poker. There are lot of variations of Texas Hold’em and Texas Hold’em are determined by the betting structure. New Member? Signup Now Or Text “SPBlog” to 347.471.1813 with full name, email & occupation. We play $1/$2 No-Limit Texas Hold’em Poker Cash Game around the New York City. $1/$2 No-Limit Texas Hold’em is a very soft game. 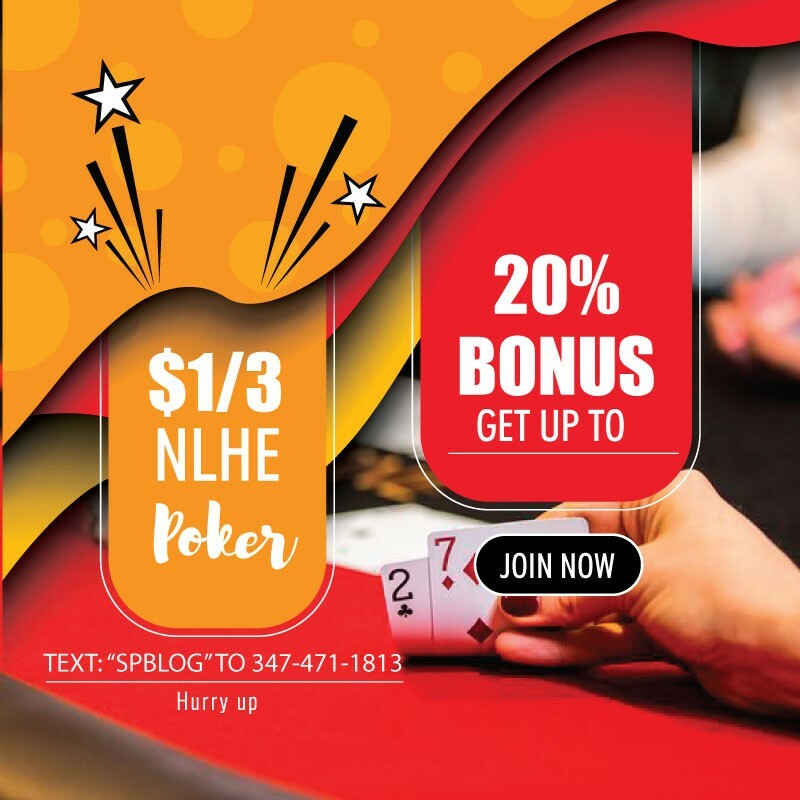 If you would like to play our Low stakes $1/$2 No-Limit Texas Hold’em or want to join our group or have any questions, please feel free to ask via text at 347.471.1813 with your full name and email & occupation. Screening for new players required. Buy-In: The minimum is $80 and the maximum is $500. Professional Poker dealer and Beautiful waitress/massage girl. 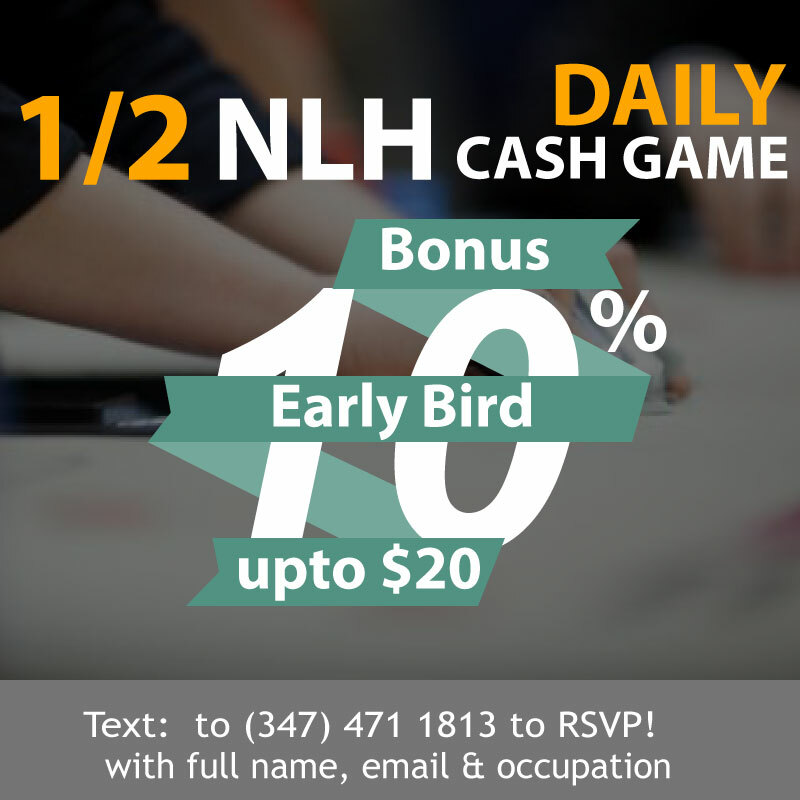 10% upto $ 20 early bird bonus. Early bird must seat by within one hour.